The CIS is accepting applications for winter internships to work in July 2019. The CIS intern program would suit people who have an interest in working on research that promotes free choice and individual liberty and defending cultural freedom and the open exchange of ideas. A minimum of 20 days is required for successful completion of the internship. The internships are unpaid and will be full time for 4 weeks. 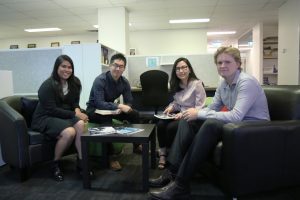 To ensure you get the most out of the experience you must be able to work in our offices in Sydney. Selected interns will work within one of our research programs – Economics, Education or Culture, Prosperity & Civil Society. We also offer internships in Media, Fundraising and Events Management. As well as working on a research project, interns may be given the opportunity to write articles, have media training, help at events and be involved with visitors to the CIS. Only applicants we wish to interview will be contacted. Unsuccessful applicants will have their details stored in our database for future internship vacancies.